Is it really ANGER or something else? After months of helping people move past barriers they didn’t even know were there, a surprising finding has occured. Sessions begin wherever the person needs and they are all over the board! Seriously, they are so varied I couldn’t even list the top five. That’s not the surprising part. I expected that. As I was guiding someone through a session this week I had a feeling we would get to anger and then a serious shift for her. Sure enough, anger popped up and then a serious shift. That really got me to thinking. As I sit through these sessions and listen to people (which I love! ), anger seems to be an umbrella emotion for other things. People feel rejected, abandoned, walked on, dismissed, and belittled. They feel unimportant and unheard. The memories that come forward almost always surprise the person and I hear “wow, I haven’t thought of that in years!” As they work through the emotions from beginning to end, it seems that anger (although often the final emotion) is actually disappointment, rejection, frustration or simply the desire to fight back. At home I started putting my finding to the test. When someone says they’re angry, I talk to them about it. Every time it has been some other emotion at the root. Not really angry, just tired. Not actually angry, just feeling unheard. Huh, nope, not angry; just frustrated with the situation. Amazing. I moved this out to the people around me. When someone said they were angry/mad/ticked off etc, I listened intently and asked questions. Sure enough, there it was again. Don’t get me wrong, everyone mentioned here was mad, but what they were actually feeling was a loss of control or frustration with the current situation. 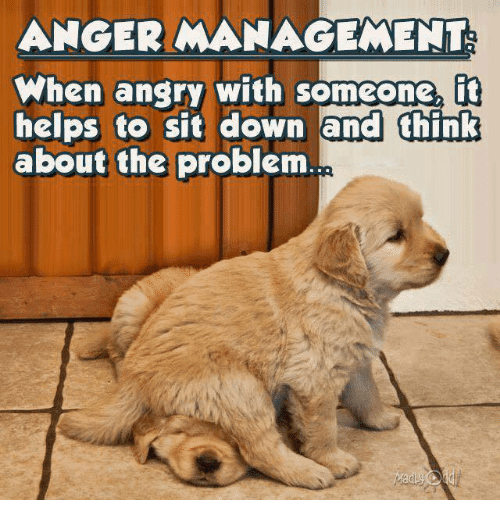 So then, what is anger? 1. a strong feeling of displeasure and belligerence aroused by a wrong; wrath; ire. So I took that definition and broke it down a little. First part: A strong feeling of displeasure? The definition of anger is not being pleased? Okay. Second part: ……a feeling of belligerence aroused by a wrong. 1. a warlike or aggressively hostile nature, condition, or attitude. 2. an act of carrying on war; warfare. A strong feeling of not being pleased and is accompanied by a strong feeling of warlike attitude. Oh my! So, what is war then? 1. a conflict carried on by force of arms…. So, based on all of this, anger could be defined as a strong feeling of dissatisfaction or disapproval accompanied with a warlike or aggressive hostility because of not being pleased. Another way to look at it is: A strong desire to force someone else to do it or see it our way. Wow!! Feeling rejected, abandoned, walked on, dismissed, belittled, unimportant and unheard! The solution is then to identify what behavior would be pleasing and realeasing those things that make you feel angry. What happens when you get mad? What do you do about it? I challenge you when you are feeling angry, stop and think about it. Okay, you probably won’t think about it at the time, but what about afterwards? Why were you mad? Were you really mad or were you frustrated at something or someone? Is it because you feel you should have control over the situation or person? Did you feel unheard or rejected? Does your opinion really matter more that someone else’s? Why isn’t that person important enough to you for their opinion to be valued as much as yours? OR, why do you feel so unheard that you must force your opinion on others? I’ve done many sessions on people that wanted to be softer, more gentle, more accomodating, more on purpose with their loved ones. 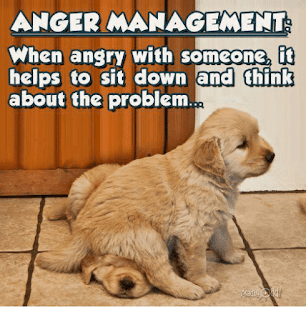 In other words, they were looking for anger management. They found it. How? They identified what was making them feel out of control. Now, did they walk away perfect. Nope! They did walk away able to start knocking down barriers that were stopping them from finding peace and enjoying the people they loved instead of trying to have control. They left knowing it was their own issue and a tool to change it. Do you think anger is a real emotion? Or do you think it is just an umbrella word we use to group emotions together and justify our tantrums or desire to control someone else(s)? This post is not meant as judgement. I had to walk it before I could write it. I actually learned this lesson a few years ago, but only recently was I able to actually put it into words. The first time I realized that I was actually feeling dismissed and rejected when someone didn’t see something ‘my way’ I was appalled at myself! In that moment I realized that getting mad at them didn’t make it better, didn’t change anything and meant I didn’t think they were valued. I stopped and decided to rejoice in their value, which in turn made me feel valued! They felt heard, I felt important. Warlike behavior subsided. Anger vanished. I was forever changed. Not perfect, just changed and a lot less likely to need to force being heard or understood. I love what I do and have always been drawn to helping and encouraging others. Offering AFT session gives me an avenue to help others reach their potential and release what’s holding them back. In other words, finding more pleasure in life! Thanks for being here. I appreciate you! What is Journaling and Why Do It?